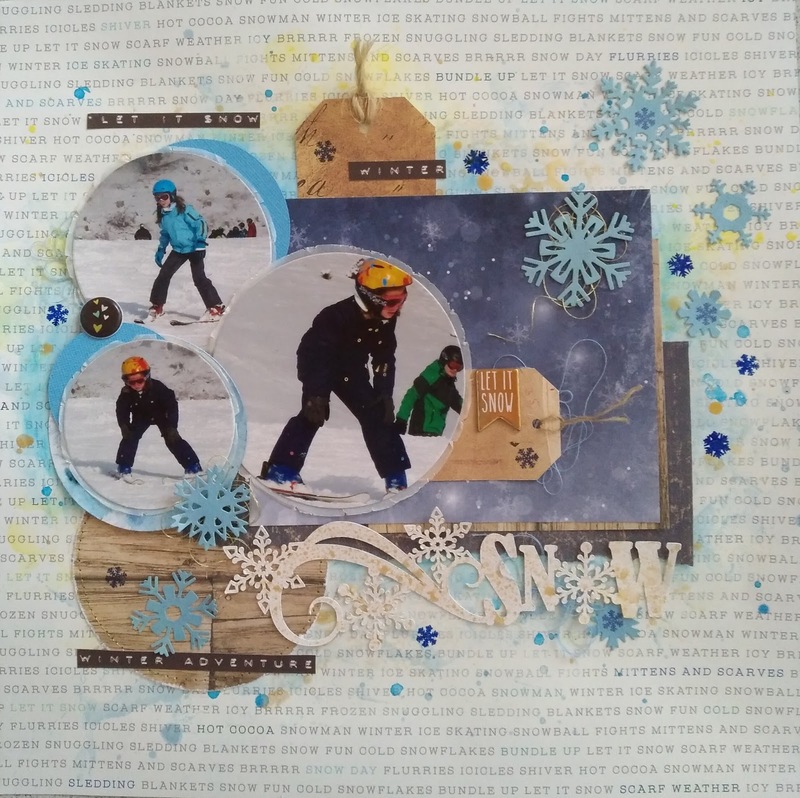 Der Titel ist eine Datei aus dem Silhouette Design store, den ich aus weißem Cardstock ausgeschnitten und mit goldenem Farbspray besprüht habe. 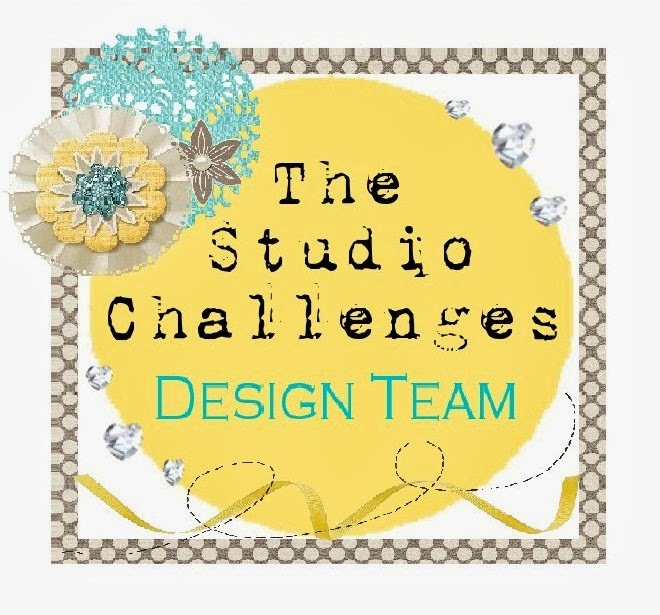 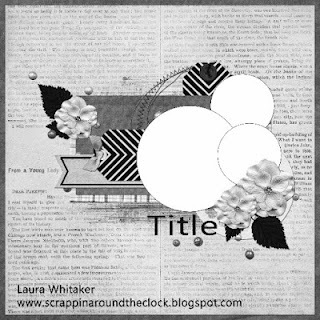 The title is a cut file from the silhouette design store. I cut it out from white cardstock and sprayed it with golden colour spray. I machine stitched around this circle with golden thread. 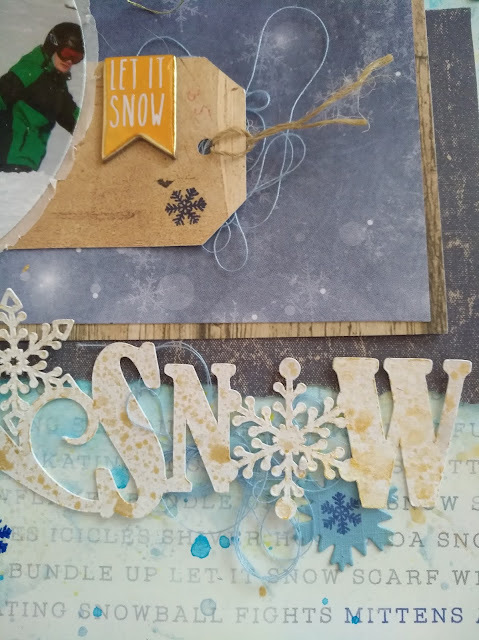 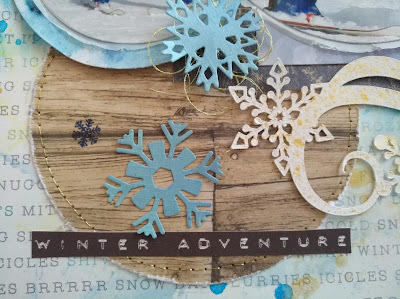 The snowflakes are framelits from Tim Holtz. And now, let us see, what you create with this great sketch!